Description: DJ Hacky plays loops from Freesound.org. The interface is a half-martian antropomorphic toy. We connected its guts to a Raspberry Pi to give it a new live. 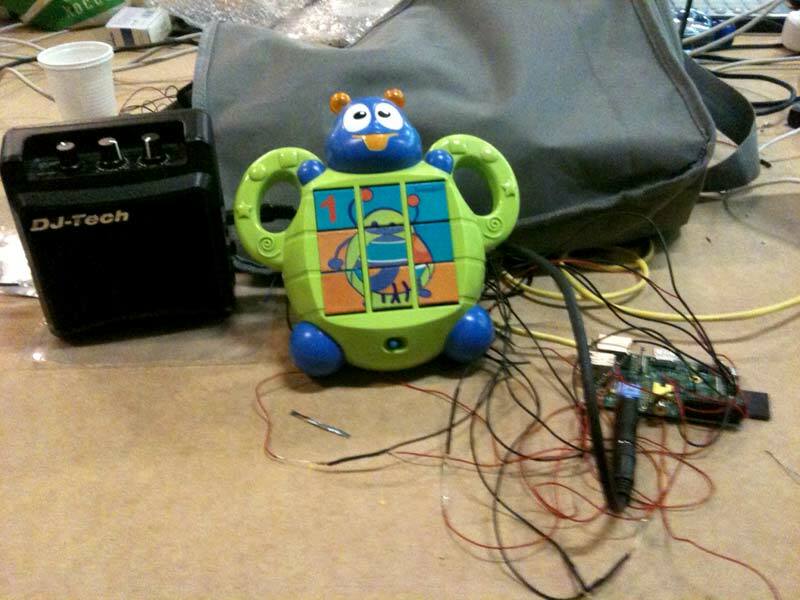 In the Raspberry Pi a SuperCollider audio engine plays the loops, controlled by the buttons in the toy. We used the unofficial API that powers FLOOP to get loops that can be played in sync. Role: Concept, part of the implementation and user interface design. Technologies: Raspberry Pi, SuperCollider, FLOOP, Freesound.org (sound samples).